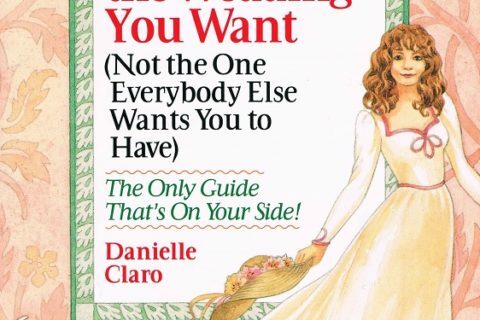 We’ve posted a lot of wedding planning books over the years. This one is no better. It screams 1985 right from the cover, and the inside is no better. Now, some might say that wedding pictures are “timeless,” and that “classic” is ok. I will argue that those terms do not apply to the techniques they list on the cover (especially lighting). Sure, I’d like that first kiss as husband and wife caught for all eternity just as my parents had and their parents before them. I might even want that shot printed in black and white or sepia tone. 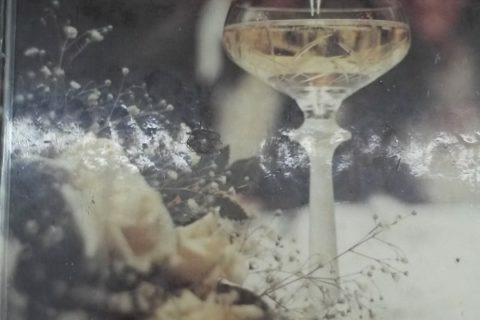 However, a 2011 wedding photographer is likely to use different techniques to create black & white or sepia toned prints than he used in 1985. They can also zoom in much better with today’s crazy wide-angle lenses and create lighting with more advanced flash accessories. Even batteries are a whole different concern than they were in 1985. 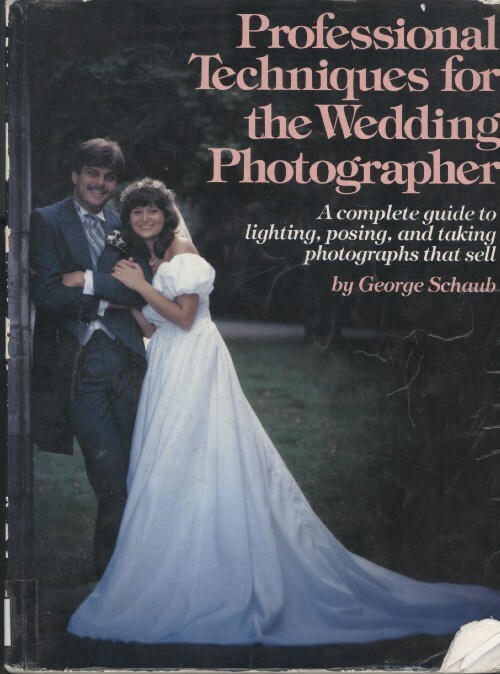 So, weed your wedding books and your photography books! The bridezillas coming your way will thank you. 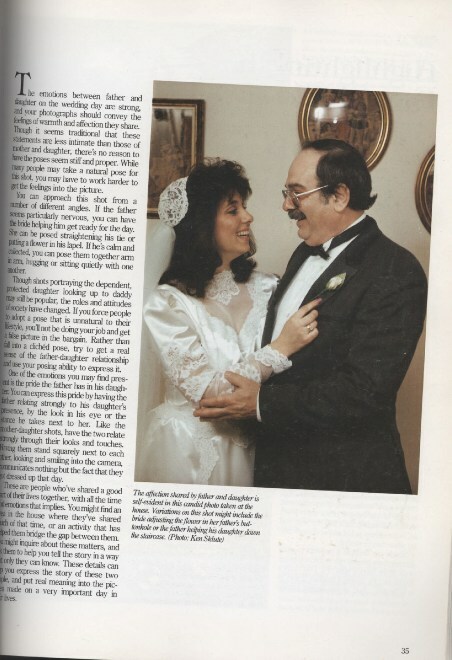 If I hadn’t been told the date, Iwould have said 1985 as my first guess–the dress in that second photo is a very silmilar style to MY 1985 gown. My wedding photographer was partial to star filters and diffused edges–I certainly hope those have gone out of style! Ah, the 1980s bridal party … when we usually had horrible giant puffed sleeves inflicted on us (thanks to poor Princess Diana, who made them popular by wearing them on her wedding gown). Discard it for the photography advice. Keep it to show those idiots from that show Say Yes To The Dress what a PRETTY gown really looks like unlike that sleeveless crap they sell! Maybe I’m not too discerning but they all look the same to me. I guess because it’s only natural that you have to have the bride and groom, the wedding party, bride and dad, etc. 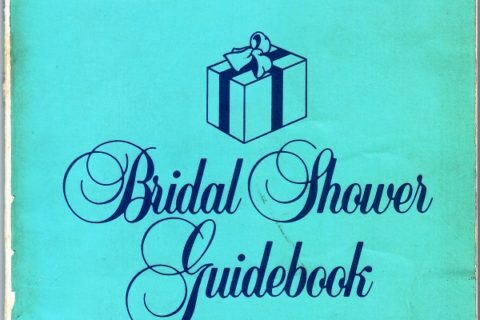 Except for the change of the participants and the once worn bridesmaids’ dresses I see little variation in the poses. The ones that do stand out because of the stupidity are the “face in the cake” variety. 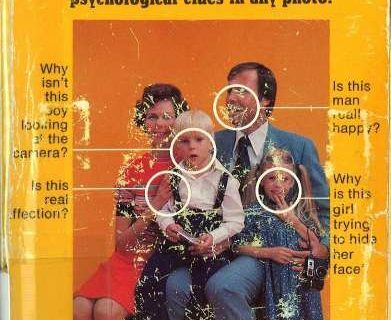 Yes, in addition to fashions, a lot has changed when it comes to wedding photography. In addition to camera equipment, I suspect today’s wedding photographers are a lot more concerned with questions of reproductions and rights. 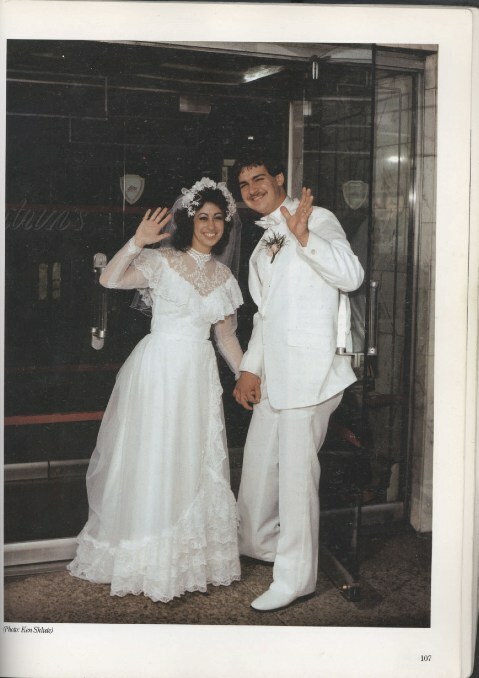 We bought the rights and digital copies of our wedding photos, a negotiation our parents just didn’t do in the late 70s / early 80s. Totally agree with Jami about those gowns on “Say Yes to the Dress.” There are very few women who can carry off that sleeveless/strapless look and yet I hardly ever see a wedding dress these days that isn’t in that style. Bring back the sleeves! Sometimes patrons continue to check out an out-of-date book because it’s all the library has so they just sigh and cross their fingers that there is something in it that they can use. We always check whether we have something current on the subject as well before guessing why an older item is still circulating.